Thinking of moving abroad alone? It’s exciting – and a little terrifying. When it comes time to actually plan, it can seem like there’s a lack of useful information out there. The prospect of moving abroad can inspire all these feelings and a host of other questions and anxieties. The idea of leaving your home to live in a foreign country by yourself is bound to provoke some stress. Luckily, you can deflate much of that stress having an idea of what the experience will hold in store. If you’re in the planning stages of such a move, or still just considering it, these are some of the most important things to know about moving abroad alone. Read on for the best tips to make your move go smoothly. When you leave your homeland, you are leaving your comfort zone. This is intimidating, especially once you’ve arrived and are trying to settle into your new home. A common instinct in these situations is to live like a hermit for a while, giving yourself time to get adjusted. It’s going to take time to adapt no matter what. But, the sooner you face your fears and embrace your new home, the easier it’ll be in the long run. There’s no way around the need for social interaction. Isolating yourself can have wide-ranging consequences, especially when living abroad. Don’t let the natural anxiety of being alone in a new place keep you from getting out there. It’s never too soon to start learning about the local culture and making new friends. If you’re not sure where to begin making friends abroad, there are some simple things to keep in mind that are often effective – like staying friendly and relatively fearless. You’ll thank yourself after you’ve settled in and developed a healthy social life in your new home. That being the case, moving on your own to a new country with a new culture is going to take resilience. Some sadness and fear is going to be inevitable. This is all part of adjusting, and it’s completely normal for anyone making such a huge change. With your sights focused on your future in a new land, excitement can take over. It’s easier than you might realize to leave your old life in the rear-view. 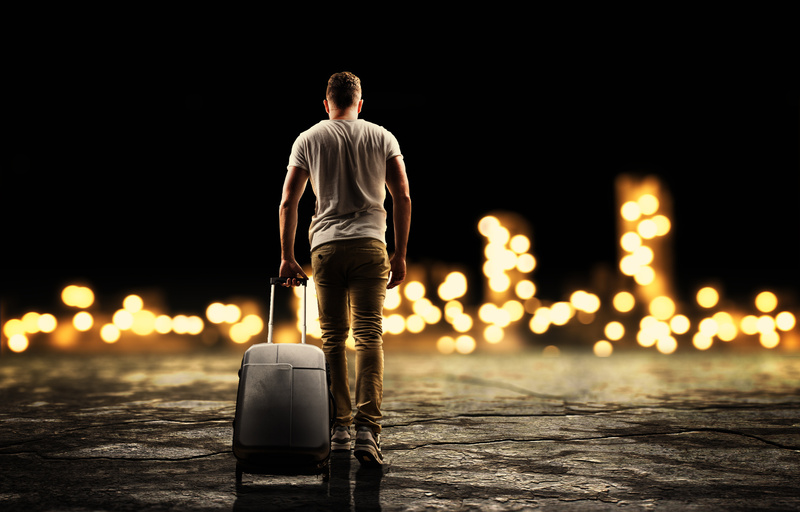 While a forward-looking attitude is admirable and necessary when moving abroad alone, making sure things are in order before you leave will help you feel less anxious and can prevent future issues you encounter from becoming larger problems. Make certain that your loved ones and close friends know your new address and how they can reach you. If you have any possessions that are not coming with you to your new home, putting your things in storage is usually the best way to go. Give yourself time to find a good facility at an affordable price. You don’t want to be scrambling just before you leave. Arrange for forwarding of any mail that comes to your old address to a PO Box. You can also opt for an international mail forwarding service. Just as importantly, schedule some quality time with the people you care about. These memories will help you during the massive transition you’re about to undertake. Besides ensuring everything social is taken care of at home, it’s vital that you take care of all the required legal, practical and medical issues before your move. This seems obvious, but it’s easy to miss a key element of preparing for a move. It’s best to figure out the visa situation long before leaving. In some cases, this can determine if a move is even possible. Remember that every country has different rules for foreigners coming to live and work within their borders. This is one of the first things to look into when you are considering moving alone abroad. Visa laws can also determine how long you can stay at your new job, and stay in your new country altogether. Of course, you will need to update your insurance policies. Fortunately, finding life insurance for expats is much simpler than it sounds. Medical issues are another common snag. If you have allergies, or are on any prescription medications, or if you have any other special medical needs these need to be taken into account during planning. Prescription medication availability and medical coverage in general varies drastically between different countries, so these are things to research. Depending on where you are moving, you may want to keep a bank account open and some money at home. You should also keep at least one credit card open in case of emergencies. Also, your credit score will take a hit if you cancel every one of your cards. You can switch to a family member’s address for bank and credit card accounts. Last but not least, check to see which vaccines you need before emigrating to your new home country, and if there are medical documents you’ll need to take with you. For just about everybody who makes the decision, moving abroad alone ends up being one of the largest and most consequential decisions of their life. 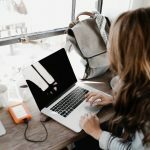 Assuming that you already have a job and a place to live lined up, taking these tips to heart will help make your new adventure everything it should be. If you are still in the research phases, or you’re wondering where to begin, starting a travel blog is a great way to start down the road of living abroad independently. Also, check out our blog for ideas on finding work you can do anywhere, or growing your own business online.